Lorentz National Park is a UNESCO World Heritage Site in southwestern and central Papua province of Indonesia, which is located on the western half of the island of New Guinea. 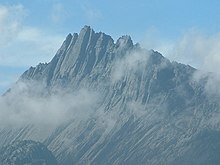 Lorentz National Park is the largest protected area in the Asia-Pacific region and contains Puncak Jaya (Carstensz Pyramid), which at 4,884 m is the tallest mountain between the Himalayas and the Andes and the highest island peak in the world. Puncak Jaya is surrounded by equatorial glaciers, which are rapidly retreating due to the effects of global warming. It is sometimes considered to be one of the Seven Summits. [dead link] Carstensz Peak Expedition. Indonesia adventure consultant specialist in Cartensz pyramid expedition by local operator in Indonesia. This park travel guide to Lorentz National Park is an outline and needs more content. It has a template, but there is not enough information present. Please plunge forward and help it grow!